This is a pair of Traxxas Ribbed front tires with foam inserts. Whether racing on a track or tearing across a back lot, the front ribbed tires are the perfect choice. They feature a non-directional design for no-hassle, no-worry mounting. 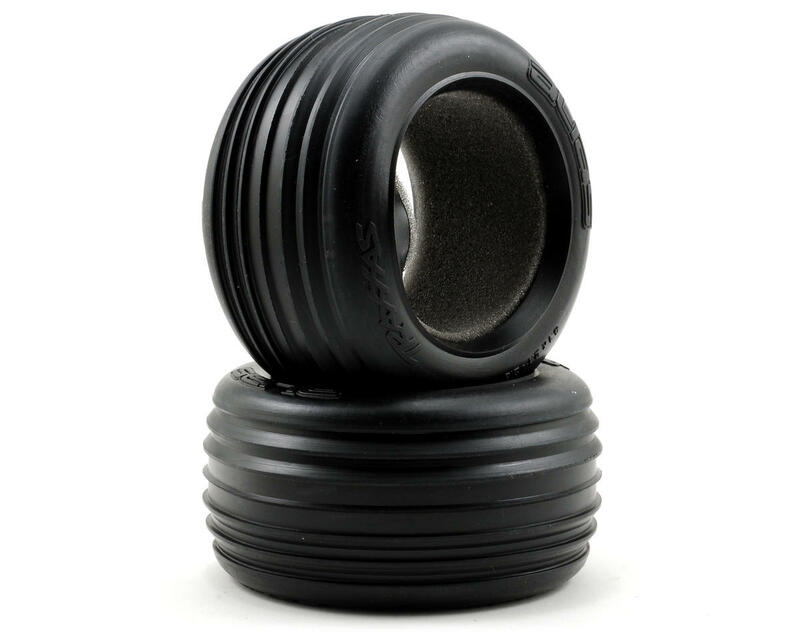 The 2.8" ribbed front tire incorporates deep grooved ribs that dig into soft loamy surfaces for superior control. This tire combination is ideal for use on grass, loamy dirt, sand, and any other loose surface. The ribbed front tires feature a super soft rubber compound that supplies exceptional grip on asphalt and other hard packed surfaces. 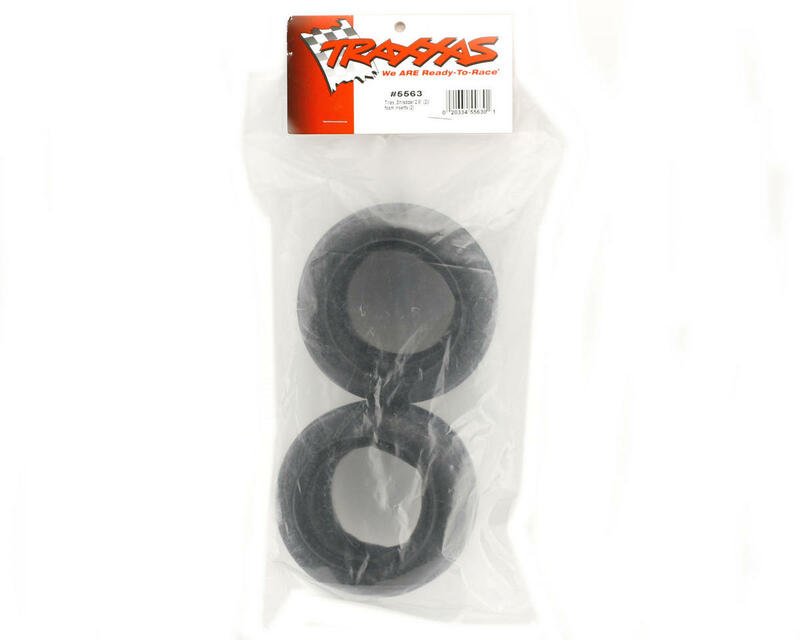 For a versatile stadium truck tire that is at home on the track or in the back yard get the Traxxas ribbed front tires.